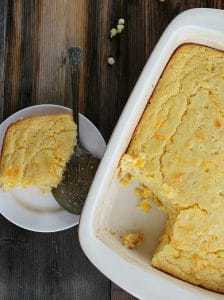 This recipe for Quick Corn Spoonbread is a hybrid of creamed corn, corn souffle’, and cornbread stuffing all in one. At a holiday table, I see this as a compliment next to the stuffing, under the yams, with juicy cranberry sauce right in the middle of it all. Maybe this will be served next to sunny-side eggs at breakfast. Or a scenario that’s very likely is, a nice helping could be sitting on a plate in the kitchen and someone maybe me might think she’s just going to have a little sample, and then in about a minute the whole thing has disappeared mysteriously. 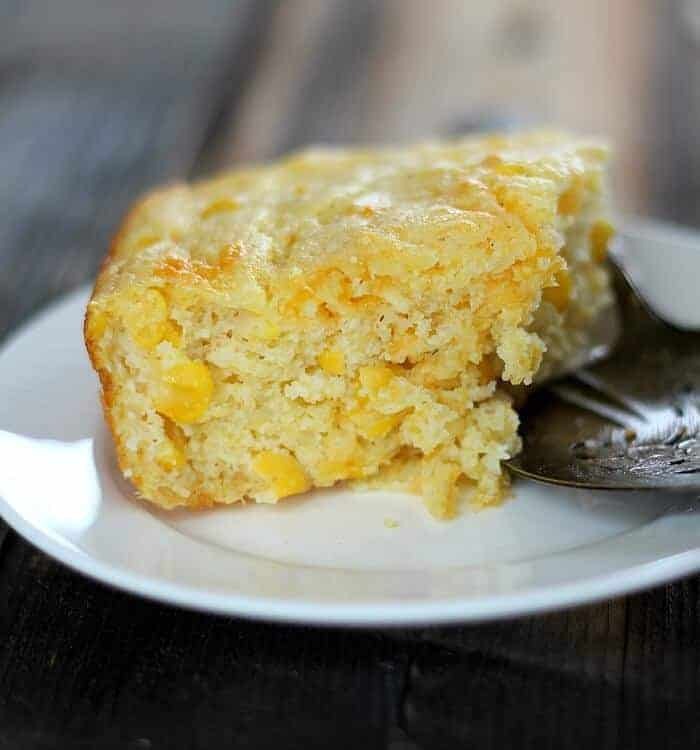 Quick Corn Spoonbread is perfect when you need to whip up something tasty with little prep and fuss. Save the more involved corn souffle’ recipe for when you have more time and leisure. And let me say I don’t usually ever use a pre-made mix for my recipes, but in this case, Krusteaz brand Cornbread Muffin Mix is just the ticket. Other jiffy 😉 mixes are out there, but they contain hydrogenated ingredients so I went looking elsewhere and that’s when I decided Krusteaz would work just fine. This recipe is one bowl, inexpensive to make and fool-proof. Convenience and quick preparation are great but if it doesn’t taste homemade and it’s not impressive and flavorful, there’s really no point. 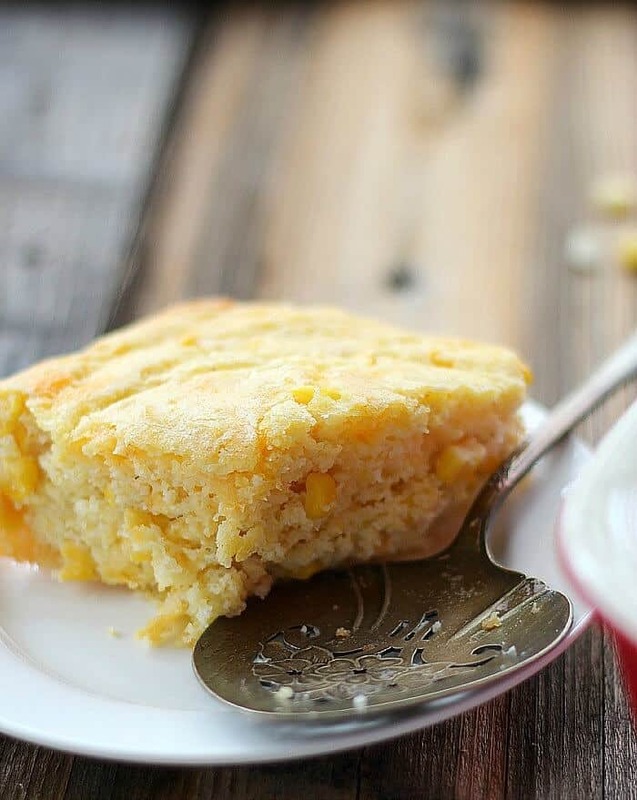 Quick Corn Spoonbread is lighter than cornbread, with a moist crumb and more complex flavors. Using creamed corn and whole kernel canned corn adds a sweetness usually reserved for buttery fresh corn on the cob. And the sour cream adds a tang for the perfect balance. Three eggs give it the lighter, less dense, almost fluffy texture. For serving, this dish is great right out of the oven, reheated or even room temperature. Feel free to make it a day ahead and reheat in a warm oven for a few short minutes. I add just a little grated cheddar before baking and you could add chives for some onion flavor and color. Preheat oven to 350F degrees and generously grease a 2-quart casserole dish with butter. Remove 1/2 cup of the Krusteaz Corn Muffin Mix and discard or save for another use. In a large bowl, add the remaining (8.5 oz) of the mix along with all the other ingredients and stir until well mixed. Add the cheese and chives, if using and give another quick stir. Pour the mixture into the casserole dish. Bake 40-45 minutes, until the spoonbread is set and the top just begins to crack. Serve warm for best flavor. Either right out of the oven, or reheat in a 200F degree oven for 15 minutes. I receive no compensation or sponsorship from Krusteaz. 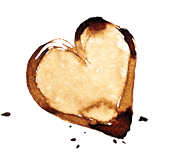 I just liked the product. Hi! I’m about to make your recipe but I have a few questions if you don’t mind. I was looking for a corn muffin that packs a punch and stumbled upon your recipe. So I wanted to find out why and the purpose of removing 1/2 cup of the mix… What does it do to the batter? Also, from the looks of your beautiful pictures the texture is reminiscent of cornbread. What do you think about the idea of using your recipe as individual corn muffins, which is how I intend to use it in paper muffin liners… Thanks! Hi Antoinette! Removing some of the corn bread mix allows this spoon cornbread to be really moist. And I think using a muffin tin with paper liners would be excellent! Let me know how it turns out for you and thanks for making the recipe. See all this time I’ve been a Jiffy Cornbread mix guy, learned something new today. Thanks Sally! As for this spoonbread, looks quite delish. Thanks Kevin! I too was a Jiffy Cornbread mix girl until I compared the label with Krusteaz. Thanks for stopping by ;).